There is growing uncertainty about how recent trade disputes between the United States and China will be resolved – and how it could affect the rest of the world. However, academics from The Chinese University of Hong Kong, City University of New York, and the University of Texas at Dallas in the United States – who previously looked at the two countries’ global trading history and relationship – believe they can provide valuable insights into the possible outcome. In November 2018, the trade dispute was halted – at least for 90 days – to allow for more talks. China’s President Xi Jinping and U.S. President Donald Trump agreed to the move on December 1 in Buenos Aires – at the end of the G20 summit of leaders and central bank governors from 19 countries and the European Union – in their first talks since the trade dispute started. Representatives from the two nations held two days of talks at the end of January, with the United States side saying they were considering a trip to Beijing in early February, after the Lunar New Year, to resume negotiations. The trip was ruled out by Donald Trump. But several rounds of talks resumed later in the month. In April, White House economic adviser Larry Kudlow reportedly said that China admitted to U.S. accusations that Beijing engages in intellectual property theft. 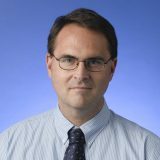 “Given the scope and scale of potential IPR violations in China, the U.S. has frequently sought better IPR protection in China and has been concerned by what they see as a lack of progress, in spite of recent improvements,” said Professor David Ahlstrom of The Chinese University of Hong Kong (CUHK) Business School, referring to his study entitled History and the Debate Over Intellectual Property. Professor Ahlstrom has been named by the Clarivate Analytics list of Highly Cited Researchers 2018 as one of the world’s top researchers who has demonstrated significant influence by publication of multiple highly cited papers during the last decade from 2006-2016. He and his co-authors of the paper, Professor Mike W. Peng and Professor Shawn M. Carraher, both of the University of Texas at Dallas, and Professor Weilei (Stone) Shi of City University of New York believe the key to predicting the future development of IPR lies in a deeper understanding of the history of U.S. IPR development, which reveals interesting historical parallels with the current situation in China. For more than 100 years, between the founding of the United States in 1776 and the enactment of the Chace Act in 1891 – which gave U.S. copyright protection to citizens of other countries and a similar degree of protection to U.S. citizens – the pirating of British and foreign publications, such as books, and entertainment, such as stage plays, was widely practiced by numerous Americans. Professor Ahlstrom said China’s current IPR laws were generally well-crafted and had pushed a lot of IPR violation underground. But enforcement is weak. “Thousands of firms and tens of thousands of individuals have made rational decisions – from their standpoint at least – to engage in piracy and counterfeiting,” he said. Even for proven violations, current Chinese law generally imposes a maximum fine of one million yuan (US$160,000); however, the average award is only 190,000 yuan (US$30,000) – hardly enough to deter violations and that may not even cover legal costs. Stronger IP protection such as criminalising all counterfeiting activities – instead of only criminalising large-scale counterfeiting above a certain threshold – is likely to significantly reduce counterfeiters’ incentives. Beijing’s reluctance to increase the maximum fine for IPR violations may be the result of concerns that, at this relatively early stage of China’s development, satisfying U.S. IPR demands may result in foreign – and primarily U.S. – IP rights holders benefiting more: In short, costs may exceed benefits. “However, as cost-benefit considerations change institutional transitions are possible,” as Professor Mike Peng has written extensively about. Professor Ahlstrom said research showed that it was only when the U.S. economy was taking off, and its IP production was extensive enough, that it felt could extend IPR protection to foreigners. He said since the 2000s China had actively promoted innovation and IPR – with patent applications rising from 476,000 in 2005 to more than 1.2 million in 2010; today it is the world leader in patent applications. Given the domestic and international complaints about the lack of IPR expertise among judges, China has also set up a system of specialized IP courts led by judges specifically trained in IPR enforcement. As a result, IPR litigation has skyrocketed, with China now the world’s most litigious IPR nation, in terms of the number of cases. Professor Ahlstrom said China’s economic development will help improve IPR protection, just as U.S. economic development did in the 19th century. Poor countries still have little IPR to protect. 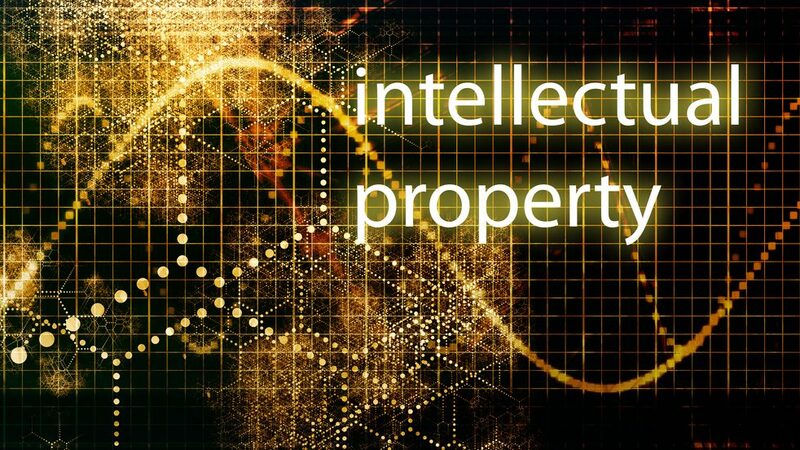 Yet when an economy develops further, additional inventive capacity and demands for high-quality products emerge, and commercial lobbies demand effective protection – a domestic interest that coincides with the foreign interest in better IPR protection. He said that U.S. businesses now complaining about IPR violations in China could also learn how British authors, composers and firms dealt with American counterfeiters over 100 years ago. For example, British composers Gilbert and Sullivan brought their entire troupe to New York to perform the comic opera The Pirates of Penzance – wrong-footing the copycats who had paid no royalties when performing their earlier hit, HMS Pinafore. In contemporary China, many multinationals had adapted to Beijing’s IPR system by using a Gilbert-and-Sullivan-style pre-emptive strategy, he said. Specifically, they file patents and trademarks – including Chinese language trademarks – as soon as possible, or set up strategic alliances with dependable Chinese partners right away, which make major patent infringement more difficult. Professor Ahlstrom said showing how the U.S. has transformed itself into a leading IPR champion could throw light on the current US-China debate on IPR. “We predict that to the same extent that the U.S. voluntarily agreed to strengthen IPR protection when the U.S. economy became sufficiently innovation-driven, so China will similarly enhance its IPR protection,” he said.